In early 2007, Kelly Jones brought out his first solo album, 'Only The Names Have Been Changed', as a limited edition release, which managed to reach number 1 on the iTunes download chart, but was made ineligable by Jones to chart so as not to detract attention from the band onto him solely. He explained that; "We were recording the sixth Stereophonics album last year and in-between takes I started doing these songs off the cuff. Three or four tracks in I realised that this could actually be something? strange how it's always little things that makes big things happen." 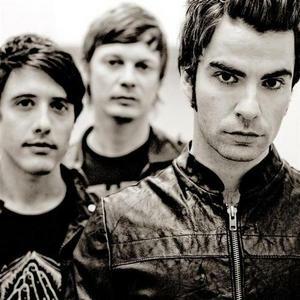 This created speculation that Jones would leave Stereophonics to pursue his solo career, however he denied these rumours and the band pushed on with work on the new album. Due to the success and warm reception of the album however, Jones did a small solo tour around the UK playing songs from the album, before returning swiftly to the band, and refocusing on the new album. During the time Kelly was out on his solo tour, Javier, who had recorded a solo album in his native latin, 'L&aacute;grima' (meaning 'Tear'), under the persona of Capitan Melao, which was released on April 2, 2007. The project includes contributions from Phil Manzanera of Roxy Music and Natalia Lafourcade, with Weyler describing it as having "dreamy and poetic" lyrics and Latin rhythms. Weyler's alter-ego translates as 'Capitan' being the Spanish for 'Captain' and 'Melao' Latin American slang for 'swing', 'rhythm' or 'soul'. After the band had reunited, work began on promotion of the sixth studio album.